AFS Design has released the McDonnell Douglas F-4 Phantom II for FSX and FS2004. Available to purchase at SimMarket. TropicalSim has released the 15 Caribbean Airports Pack for FSX. Now available to purchase at SimMarket. - Detailed representation of the aircraft?s Gunsight. - Detailed MPCD (Multi Purpose Color Displays) with in-depth functionality. - Fully operational Radar with A/A and A/G master modes, capable of locking and tracking a target into interception. - Accurate weapon loadouts including orndance weight. - Working air refueling probe. McPhat Studios has added more preview screenshots from the upcoming Coolsky Douglas DC-9 for FSX. Turbine Sound Studios (TSS) posted this preview video from the upcoming Pratt & Whitney PW4060 HD Sound Package. Golden Age Simulations has posted this teaser screenshot from the upcoming de Havilland DH.60 Moth for FSX. Godzone Virtual Flight has posted this patch to resolve issues with Real New Zealand Supercity Auckland and Orbx NZNI. Daniel Furnkas has posted first preview screenshots from the upcoming version 3 of the freeware Basler BT-67 for FSX. - Native GSX Support, no GSX purchase required! Scenery Solutions has released Ultimate Terrain X - Tropical America and Caribbean for FSX. Details at the Product Page. - Accurate roads, with moving traffic on major roads. - Extremely accurate water features and coastlines. - Detailed ground polygons (parking lots, parks, grassy areas, etc). - Most accurate urban landclass available, with most textures hand selected using the most appropriate FSX landclass texture. - Accurately placed bridges for roads and railroads. - Scenery Solutions unique night lighting using light point models. - Nearly 200 airports corrected from a location and elevation standpoint. Flight One Software is currently offering $10.00 off the Dodosim Bell 206 JetRanger. Valid until August 29th 2012. Alabeo has posted more preview pictures from the soon to be released WACO Classic YMF biplane for FSX. Aerosoft has posted another teaser screenshot from the upcoming Saarbrücken Airport (EDDR) scenery for FSX. Aerosoft is offering 20% discounts on the Katana, Wilga, Dimona, DO-27, and more. Valid through August 27th 2012. Taxi2Gate has released the Asunción Paraguay Airport (SGAS) scenery for FSX. Available to purchase at SimMarket. - Customizable Ground Proximity Warning System (GPWS) with FULL Altitude Callout. You choose which callouts you want! - Standard and LITE panel modes available on the fly via the QualityWings Control Panel. Standard mode balances realism and simplified approach. - Optional LITE mode available for those who REALLY want things SIMPLE. - Over 60 High Quality liveries to choose from. Every livery is created with exceptional attention to detail. 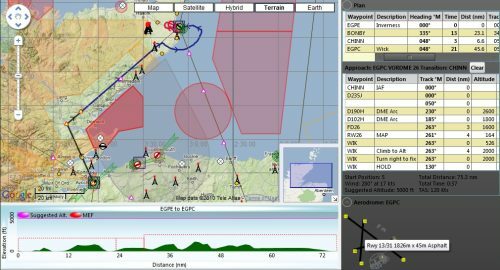 Navigraph NAVData AIRAC Cycle 1209 is now available. Purchase Credit Packs at Navigraph or SimMarket. McPhat Studios has posted more preview screenshots from the upcoming Coolsky Douglas DC-9 for FSX. LHSimulations has posted another teaser screenshot from the upcoming X-Plane version of Győr-Pér Intl. Airport (LHPR). A_A Sceneries has announced development of the Suvarnabhumi (VTBS), Don Mueang (VTBD) airports and Bangkok City. Shigeru Tomino has released the freeware Lanyu Airport (RCLY) for FSX. Available to download at Flightsim.com. Drzewiecki Design has updated Polish Airports Vol.3 to Version 1.1 for FSX and Version 1.6 for FS2004. Coolsky has posted a preview of the integrated cockpit training system on the Coolsky Douglas DC-9 for FSX. Carenado has released Service Pack 1 (20120822) to the Cessna CT182T Skylane G1000 for FSX and P3D. - 2D ADF (with the autopilot windows) for easiness manipulation. - Wrong messages in the PFD when using autopilot. - One click spot added on the upper left corner of each PFD and MFD for turning on/off the 3D screen. - This will improves performance if you fly using only 2D windows or not using the MFD in the VC. Blue Sky Scenery has released Yellowstone National Park, Part 4: Northeast, Beartooth Wilderness for FSX. Alabeo has posted several interior pictures from the soon to be released WACO Classic YMF biplane for FSX. DMO Flight Design has released the Sikorsky S-92 for X-Plane 9 and X-Plane 10. Available at the X-Plane.org Store. - Custom Sounds, Featuring Real Interior and Exterior recordings of S-92 Engines, Rotors and APU. DreamFoil Creations has posted more previews from the upcoming Aerospatiale AS350 Ecureuil for X-Plane 10. FranceVFR has posted preview screenshots from the upcoming Poitou-Charentes Photo HD scenery for FSX. Gary Summons has posted preview screenshots from the upcoming version 3 of UK2000 Edinburgh Airport (EGPH). The freeware Plan-G VFR Flight Planer version 3.0.0.46 has been released. Details and download at the Product Page. Dieter Linde has posted Plan-G Data Files for the Orbx FTX NZNI - New Zealand North Island region. Lionheart Creations has released the Robin DR.400-180 for FSX and Prepar3D. Details and Purchase at the Product Page. LHSimulations has posted previews from the next version of the freeware Hungary Landmarks Pack for FSX. The recently released LatinVFR Bermuda L.F. Wade International Airport (TXKF) scenery is now also available for FS2004. Lockheed Martin has released version 1.4 of the Prepar3D flight simulator. Details and download at the P3D Website. 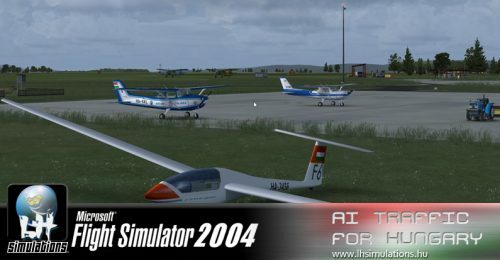 The freeware Heringsdorf Airport (EDAH) scenery for FS2004 is now available to download at AVSIM and Flightsim.com. Coolsky has posted a preview of the auto config function on the soon to be released Coolsky Douglas DC-9 for FSX. Classics Hangar has posted new development screenshots from the upcoming Focke-Wulf Fw 190D for FSX.